THE Roman Catholic Church has upheld the priesthood as part of its long lasting legacy. Part of the vows demand that a priest is sworn to celibacy. 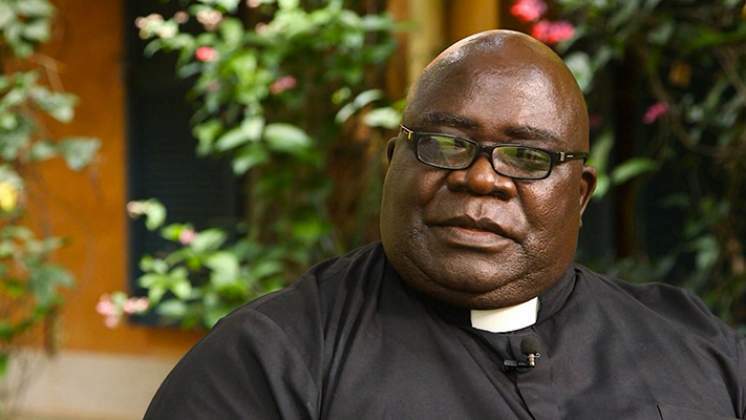 In Zimbabwe one of the most celebrated priests is Father Fidelis Mukonori, who is also known for his close links with former President Robert Mugabe. Father Mukonori, in his book 'Man in the Middle' tells an interesting story of how, as a teen he spent several hours in solitude as he could not mingle much with his peers. The cleric says he devoted much of his youth time reading books in a bushy area close to his family farm. "…when my friends or the girls I spent time with came calling, I would listen to their voices and decide whether to join or ignore them. Sometimes I would go out sometimes, I would remain hidden…"
He adds that he enjoyed adult company than his age mates, something which raised worry in his father's mind. At a tender age, he was well-known for his wisdom in issues related to religion. "I cannot deny that there was always light inside me pointing me down a religious path, but it was not until I graduated at high school that I really began to contemplate becoming a Jesuit." Because of his parents' bitterness, in 1968, a 20 year-old Mukonori, together with his uncle also named Fidelis exited into Jesuit life, leaving home without telling anyone except his younger brother. He says, "Only my younger brother knew of the plan and I gave him a task of informing my parents when the time came…..my decision was final and no questioning or discussion would change my mind. No-one in my family had ever pursued that path of a religious man before…"
The duo headed to the then Salisbury, Mount Pleasant to join the Jesuit Society. Father Mukonori also experienced racism as the colonists did not entertain black people in certain sections of the city. He was denied service by a white sales lady at some shop in central Harare, then Salisbury. The clergy man says, "I was dumbfounded. I was not naïve enough to be surprised by racism, but the assault of such sudden open disgust for my presence was an unwelcome surprise, to say the least. My blood instantly boiled." The cleric says priesthood became a voice of conscience that soothed his nerves confirming that he indeed had a calling and had chosen the right path.